When Hubby got his big-boy job after college, he traveled quite a bit. I really wanted to show my support for him and his career. Being the sweet wife that I am (HA! ), I always tucked something in his suitcase when he wasn’t looking. I thought of these little travel treats as like a cute care package. Everyone loves care packages, right? I remember on a particular trip, his flight was delayed and he did not get to his destination until after all restaurants were closed. He was so grateful when he opened his suitcase to find a box of snacks to quell his tummy rumbles! Sometimes my care packages for husband are as simple as a card and a picture of the fun he is missing at home. It is the thought that counts. 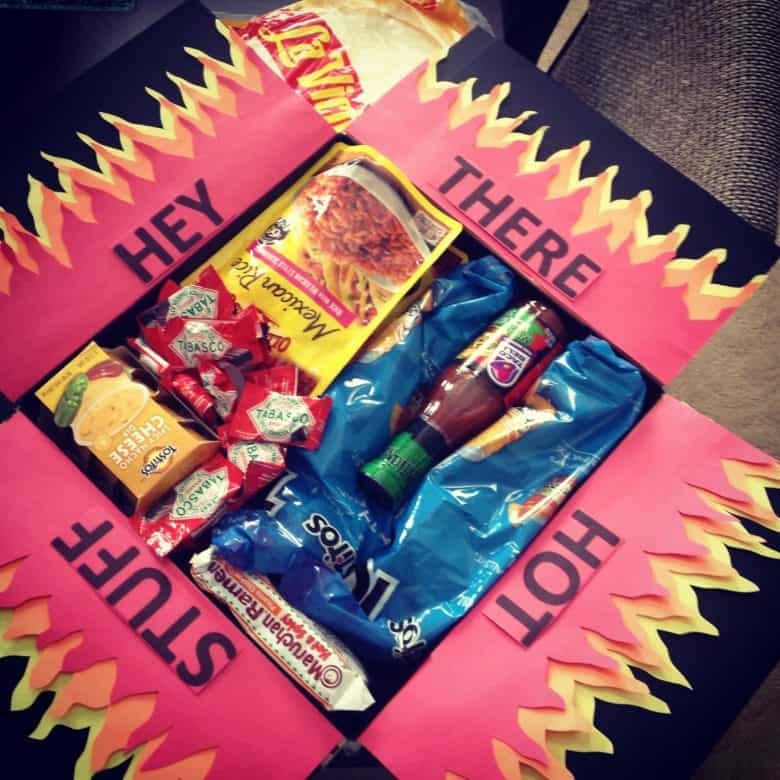 Care packages for college students and military personel may be the most popular reasons, but there is always a good reason in my opinion to send a sweet care package! If putting in a carry-on, make sure all of your goodies will be appropriate and not subject to confiscation. 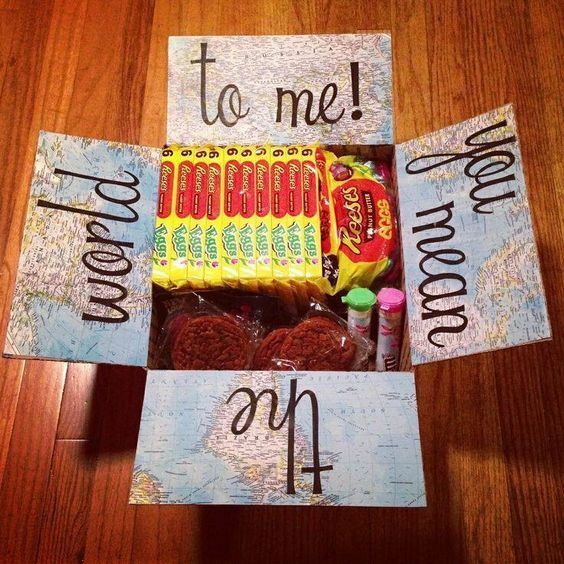 I would love to receive a decorated care package such as this! The simple unexpected gifts are often the most cherished and I am sure you can come up with a few of your own tailored care package ideas. My husband still talks about it even though he doesn’t travel as much now and he always seemed to look forward to coming home even more! 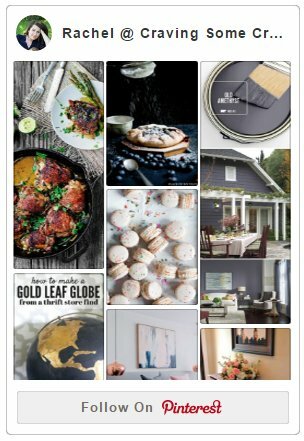 For more sweet ideas, check these out! AWW! You are sweet! No hah needed! The aspirin is super smart. Men are constantly getting headaches, especially while traveling! Or at least mine does. And somehow they always forget to eat (errr I do that do I guess) so snacks is super smart. I think I’ll do this in my husband’s work bag tomorrow, just to see if he notices. If he does, thanks for the brownie points!